‘A fast-paced read, full of unexpected turns. I loved it’ Lisa Cutts, author of Never Forget. 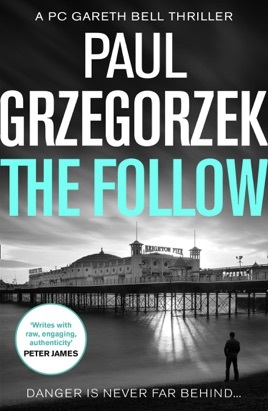 Despite training as a conservationist, Paul Grzegorzek joined the police in Brighton in 2002. He trained as a riot medic and method of entry specialist, policing riots and demonstrations and enacting drug warrants, and then moved on to plain clothes work on undercover drug operations around the city. 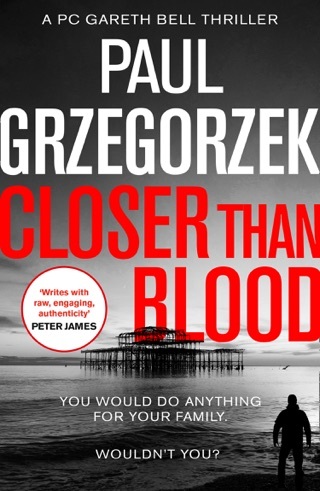 While in the police he met Peter James, and became an advisor on the Roy Grace novels. Peter encouraged Paul to write his own books and so he did, writing in his spare time. After six years in the police, Paul moved into the defence industry where he became the security manager for government defence projects across the globe. Before parenting took up all of his free time, he also used to volunteer as a first responder for South East Coast Ambulance, attending 999 calls to assist in critical care prior to ambulance arrival. He lives in Brighton with his wife and young son.